Achieve optimal health with simply and deliciously prepared food. Agreat meal does not have to be complex. Suzanne Sweeney has hitthe target for those who don’t have much time to spend in the kitchenpreparing food, as well as embraced the creative nature of those whodo. 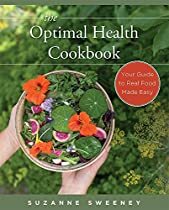 With many of the recipes only requiring thirty minutes or less andeach recipe labeled to address a variety of food intolerances, thisbook is the ultimate tool to gain control of your health. The perfectdiet is not one-size-fits-all, but rather, it should yield to your body,mind, and spiritโ€•and only you know best.In this book, you will learn how to:• Test for food intolerance at home and create suitable recipes• Cook by intuition according to your body’s physiology and needs• Eat gluten-free naturally, using whole foodDon’t let cooking be daunting. Know that by implementing the ideasand recipes presented in this book, you will be cooking healthy anddelicious meals for yourself and your family in no time.